Please check out our KYMCO Venox – Exhaust Pipe Muffler Baffle Modification page for information on how to make your Venox sound louder and better. You’ll find videos demonstrating the modification as well as how your bike will sound after the work is done (here). The KYMCO Venox benefits from some nice thick exhaust pipes that accentuate the deep tune of the 90-degree V-Twin engine. It’s easy to make the bike sound even louder. You can really wake up the sound of the bike by modifying the baffles to let the exhaust escape more freely. This guide will walk you through the process in 5 Steps. 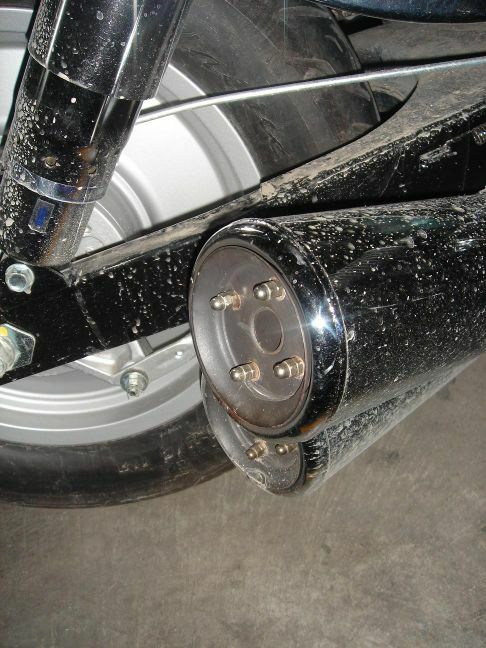 The baffles are what reside within exhaust pipe, which limit the noise that the motorcycle produces. Some people will drill the baffles out completely but this is not recommended. 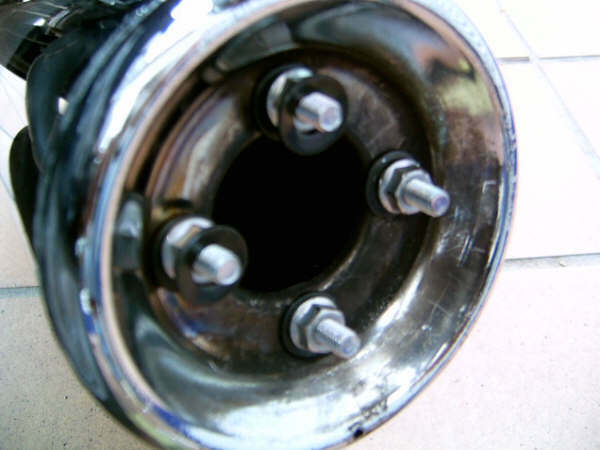 Removing the baffles completely would remove back-pressure to the engine, which is harmful to your motorcycle’s performance and engine life, often resulting in a seized rear cylinder. Grab a drill and a 5mm drill bit and begin drilling through the rivets. When you remove all of the rivets the lid should fit loosely. 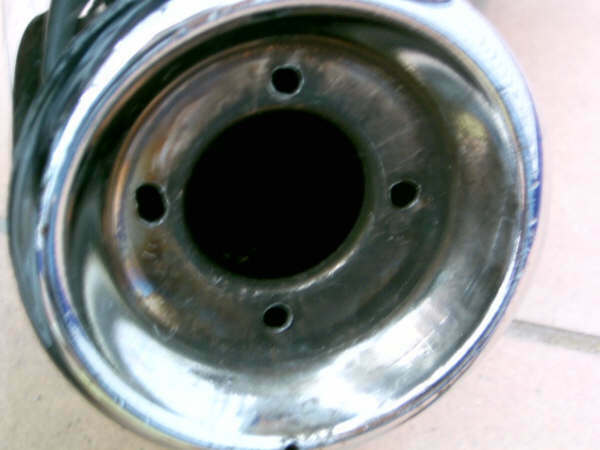 Removing the baffles will be a little difficult; you’ll need to pry around the edges patiently and carefully so as not to scratch your exhaust pipes. A little sample of what you’ll see with the baffles removed. 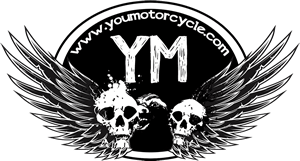 Remember, leaving the baffles out will have a detrimental effect on your motorcycle’s health, so we want to put them back in before running the engine. 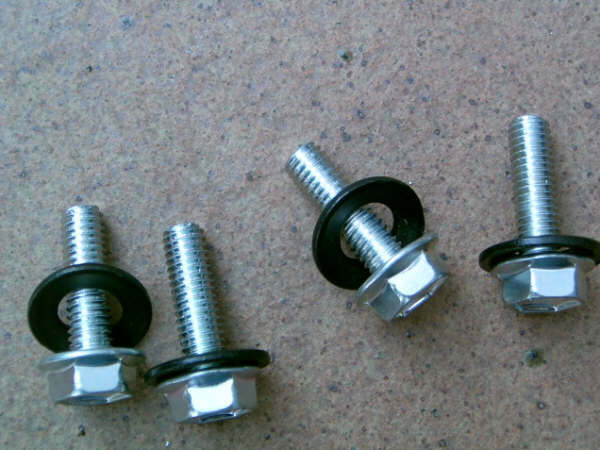 Grab a handful of spacers from the hardware store, a pair of 5 mm screws, a pair of 5 mm lug nuts. You want sufficient spacing to let the sound out, without negatively effecting back-pressure. The screws in the photos are 15mm in length. You’ll install the spacers between the open end of the exhaust pipe and the baffle. 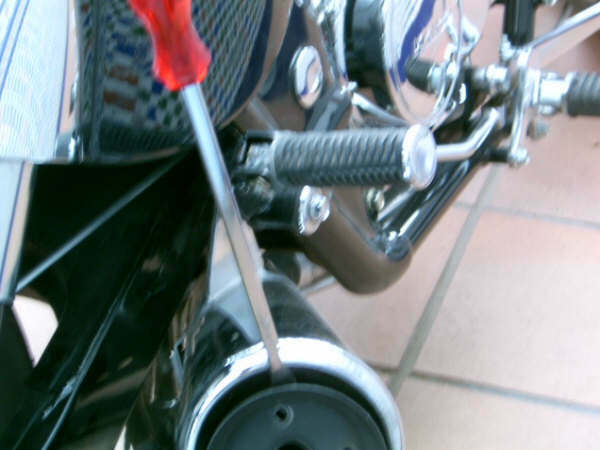 The spacers will create a gap between the end of the exhaust pipe and the baffles. A few millimetres in opening is all it takes to open up the sound of your Venox considerably. Anything more and you won’t be providing enough backpressure to the engine. Now re-insert your exhaust baffle. Top off your naked screws with lug nuts (end caps) to give it a nice professional looking finish. Congratulations, you’re all done. Make sure everything is secure, and start up your KYMCO Venox when it’s safe to do so. Caution: Remember this is just a suggestion, not based on our own experiences, but simply a translation on what is available on the ClubVenox.es web forum. The full thread can be found here. We aren’t responsible for any damage or injury in the event you try this mod, and we suggest taking Adrian’s approach of simply letting your dealership do it. 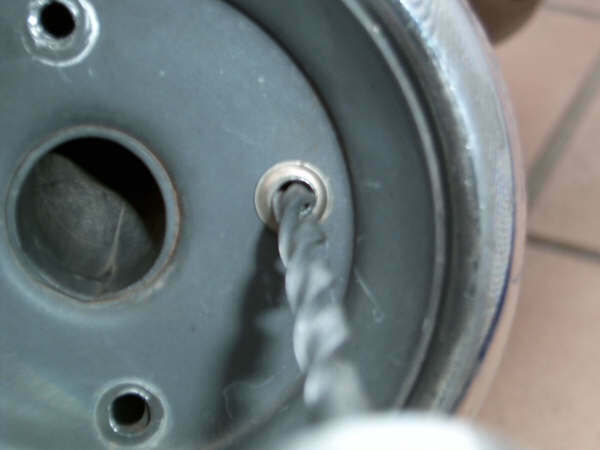 Remember: Engines need backpressure, removing the baffles too far out or removing them altogether might seem like a good idea at the time, but may lead to bad experiences in the future. How to make your KYMCO Venox Faster. Next: Forks Of The Credit Rd.